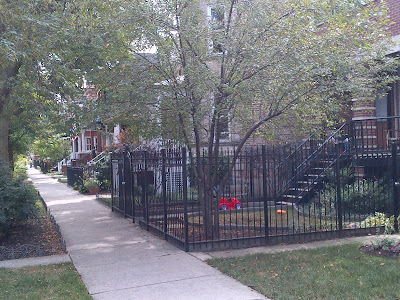 We recently represented buyer clients on a purchase offer for 4543 N Hermitage in the Ravenswood neighborhood. 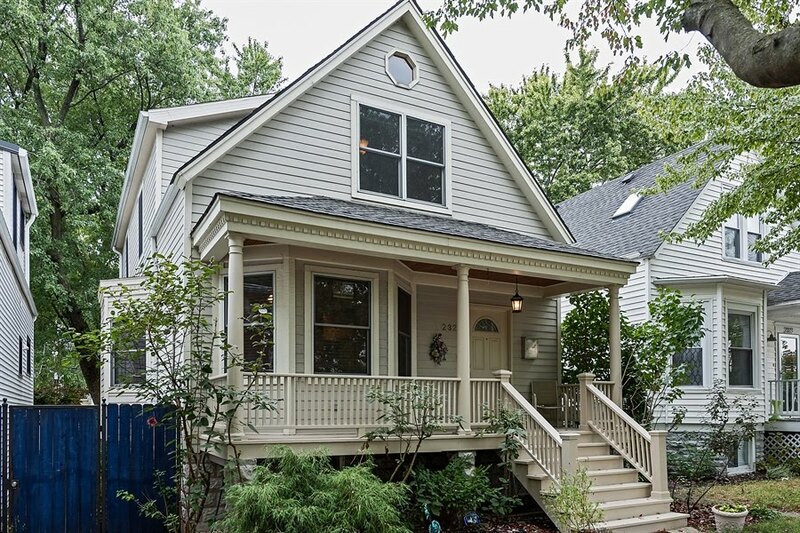 The house was listed for sale at $799,000 in the Ravenswood School boundaries and we knew it would sell quickly over the list price. Our clients that live nearby immediately made a great offer but another offer was accepted in the first couple days. 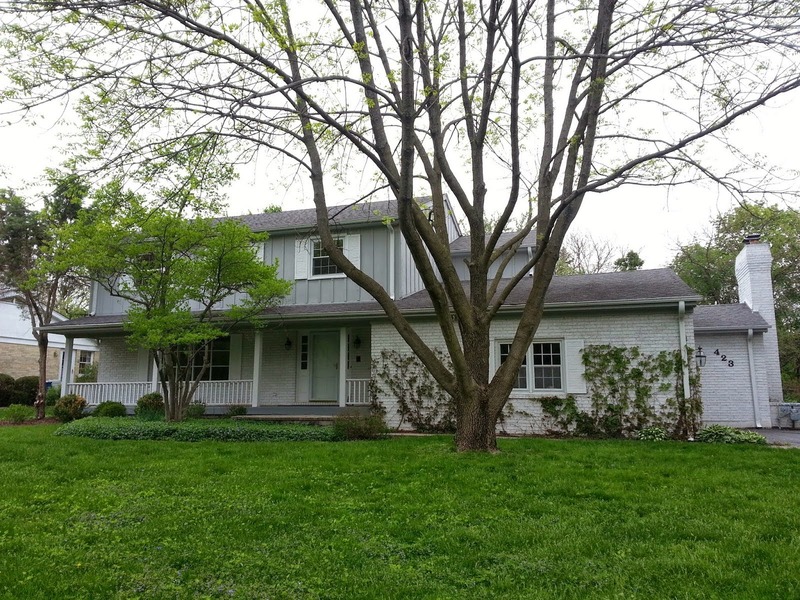 Bob and I have represented several listings and buyers in this immediate area we are big fans of the location. 4543 N Hermitage pictured here is a nice late 1980s built home on a gorgeous block. 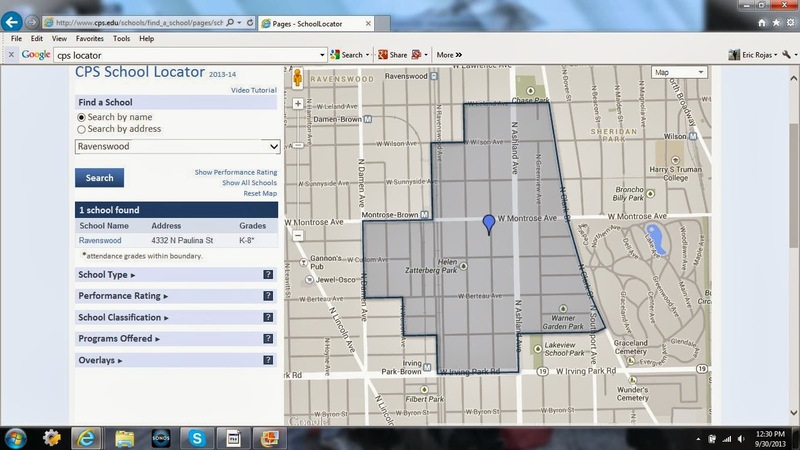 It's located in the Ravenswood Elementary School attendance boundaries. Many homes in the Ravenswood School district have over-sized lots. 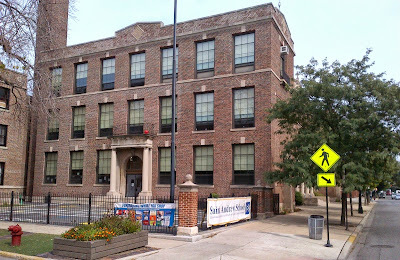 The Ravenswood School boundaries are roughly between West Irving Park Road and West Leland Ave and North Damen Avenue and North Clark Street. 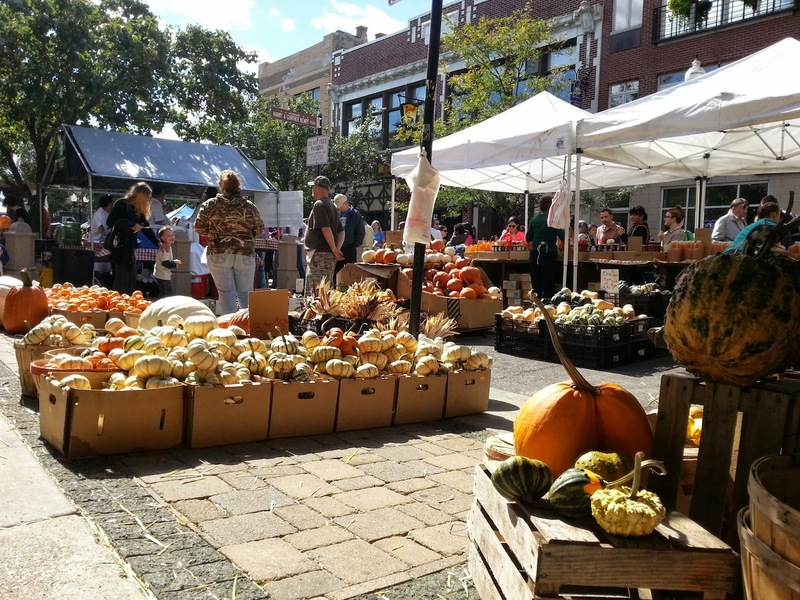 This desirable location is near great CTA transit options (Damen, Montrose and Irving Brown Lines), very walkable and full of new and old restaurants, businesses and retail developments. 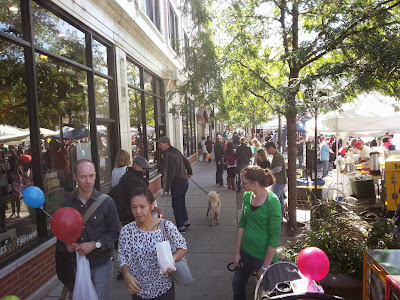 Yet, most streets have a mostly quiet residential feel. 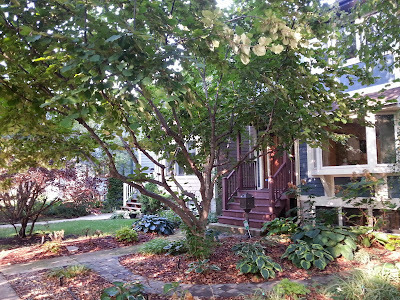 The neighborhood has charm, old architecture, colossal new houses and modern conveniences. 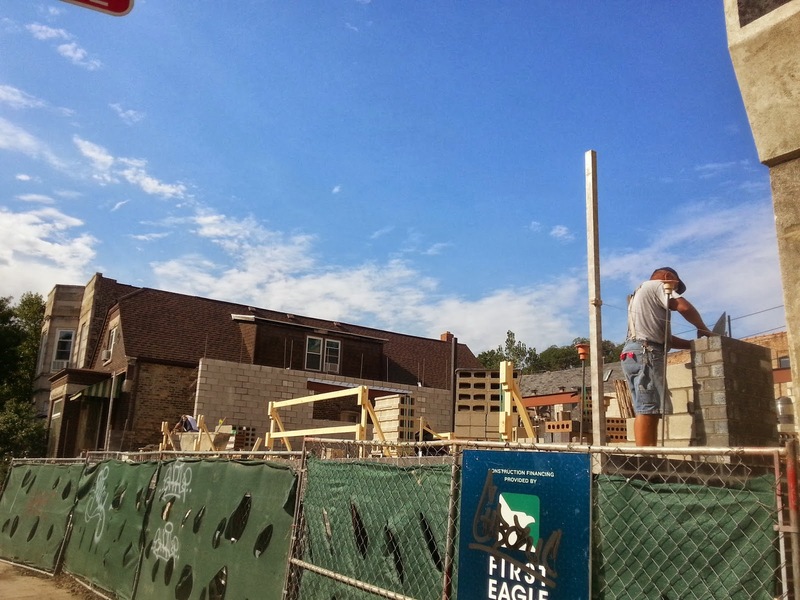 A large home is being built on a more than triple lot at Hermitage and Montrose near Ravenswood School. 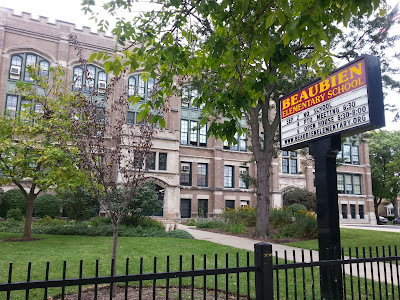 Only about 16 home sales (some include homes needing gut rehab) have been recorded in the MLS over past 24 months in Ravenswood School district boundaries. The median price of a house is about $700,000 and market times are very short in most cases. 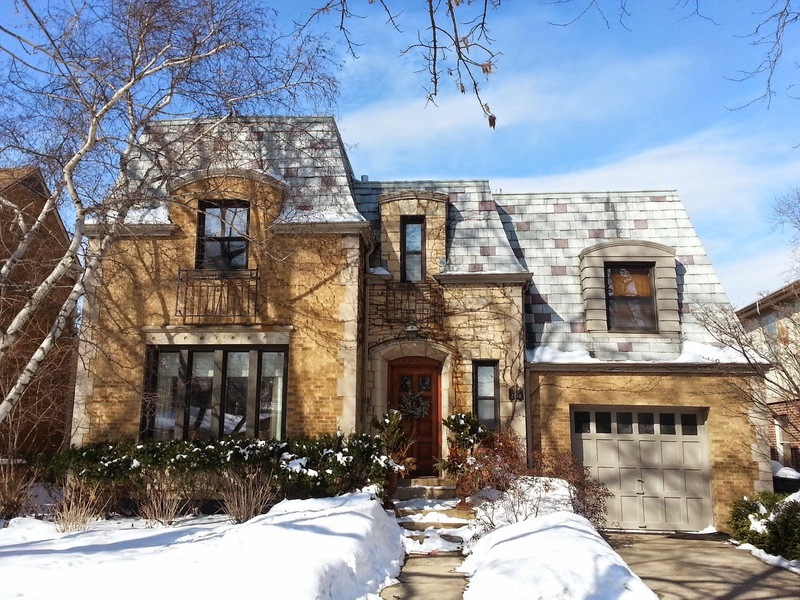 The most expensive home sold during this time was 4431 N Hermitage for $2,850,000. There have also been at least 4 or 5 private new builds completed in these boundaries. I've been able to photograph most of these new builds over the past couple years for the blog. The majority of these homes have been on double lots (50' wide) and the average retail value would be well over $2,500,000 if the houses were sold on the market. All sales statistics pulled from MREDLLC.com our local MLS and analyzed by Eric Rojas, Real Estate Broker with Kale Realty. The numbers are fairly accurate given the recorded sales and coordinates referenced but should be used only as a guide. 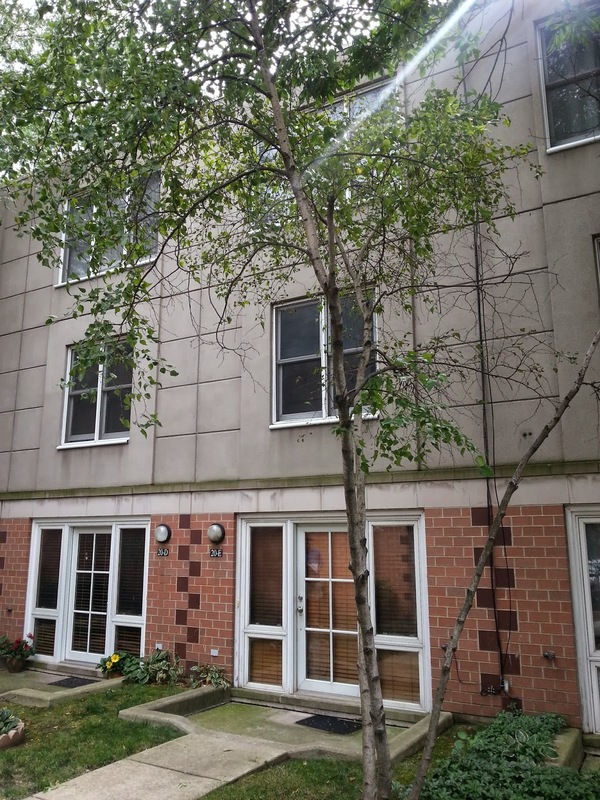 Our client's recently purchased a three bedroom's town house at 20 West 15th Street in South Loop's Dearborn Park II (at South State Street and 15th). The 1990 built town house development was ahead of it's time in the soon to explode neighborhood. This particular development is located in popular South Loop Elementary School attendance boundaries and steps from Cotton Tail Park. 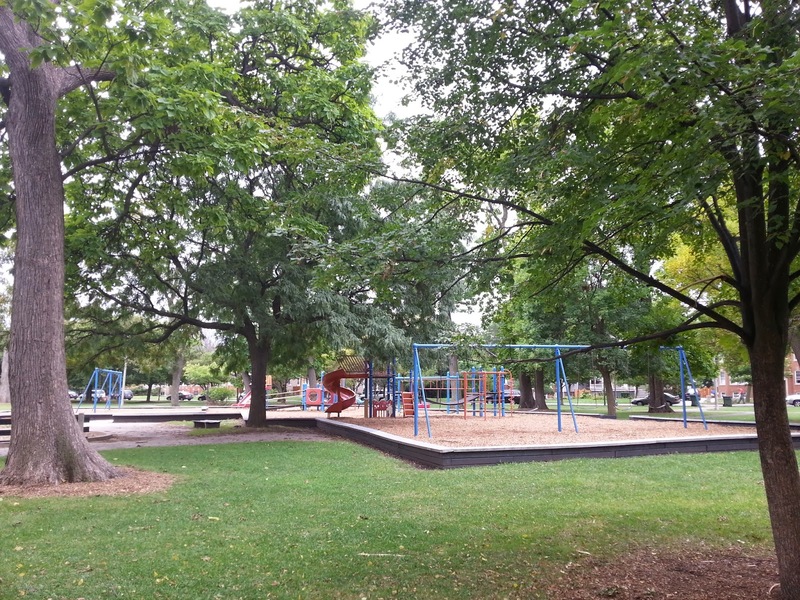 The entrance to Cotton Tail Park and play-lot is adjacent to the Dearborn Park II courtyards. The town house was previously acquired in a foreclosure sale. 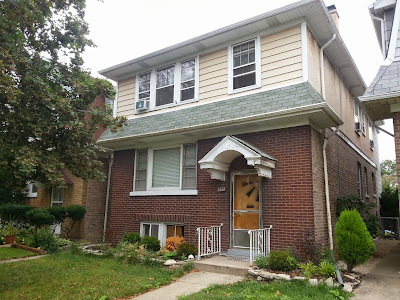 The broker-owners fixed it up and put it back on the market at $459,000. 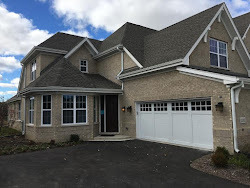 Our clients closed the home at $440,000. We think this is a very nice deal as there are few three bedrooms homes in the South Loop School District available under $450,000. 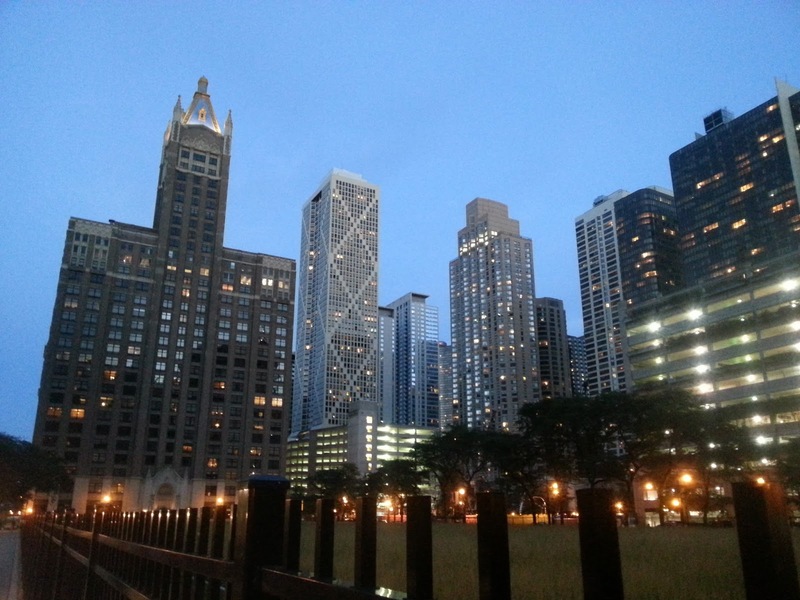 Of course, the South Loop location is a fantastic option for many with downtown offices. Our clients can walk to work. 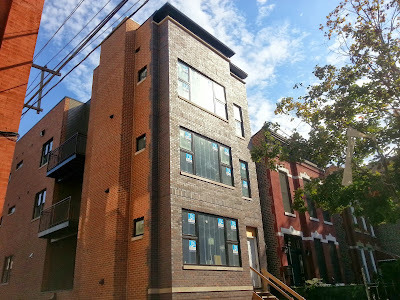 We recently worked with clients who just closed a South Loop three bedrooms town house. It wasn't easy as few options were available in their school district and price-point requirements. 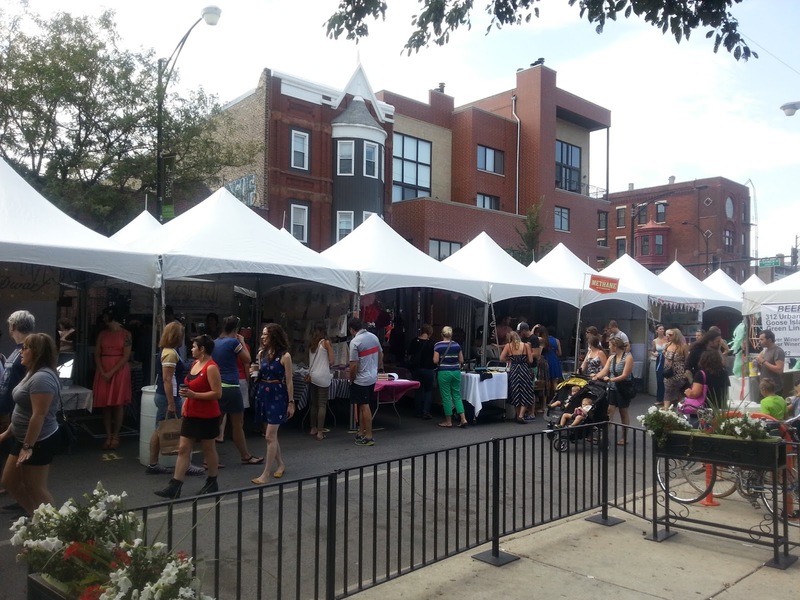 South Loop has seen a big resurgence in condo sales (attached units including town houses) over the past couple years. 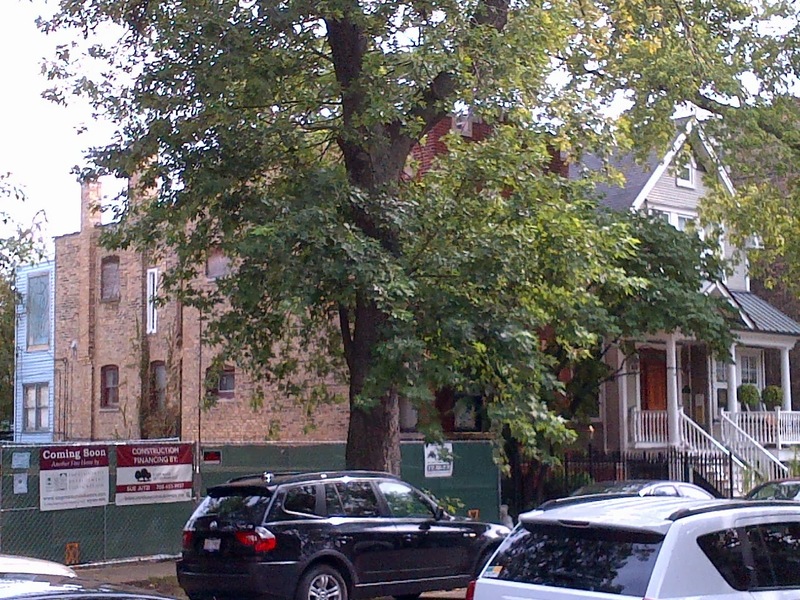 As in many neighborhoods the competition for larger units with three true bedrooms is fairly intense. 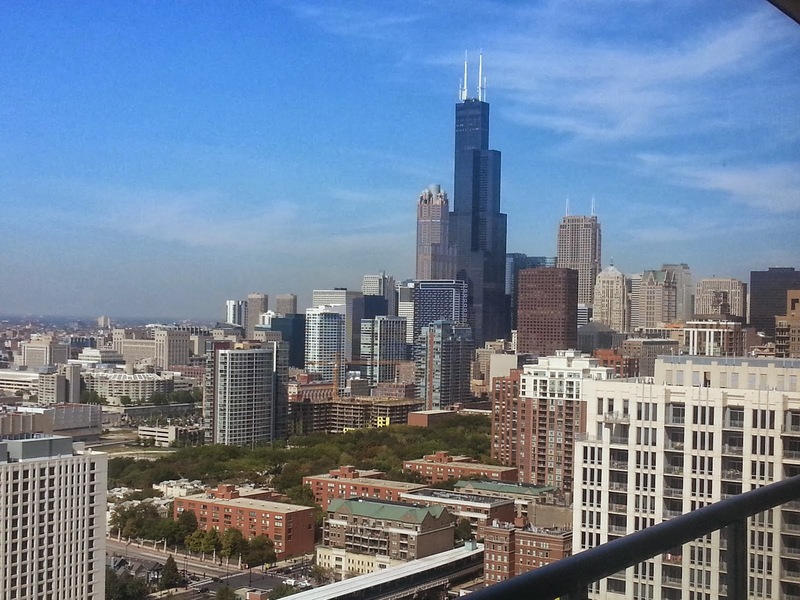 110 attached units with three bedrooms or more have closed in the South Loop this year. That's up 44% over the 76 units sold same period last year. The median price is a hefty $649,000; way up over the $525,000 same period in 2012. 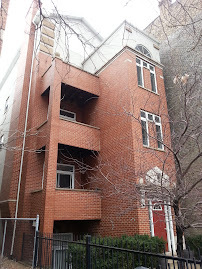 The highest sale this year is 233 East 13th Street #2405 for $1,600,000. The contemporary high-end three bedroom condo is listed at 3300 square feet on one floor and features a true full service bar area and family room. 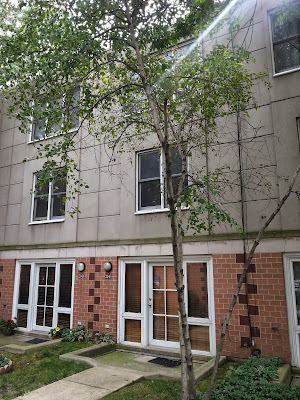 The lowest sale is at 328 East 25th Street #2W for $215,000. The three bedrooms, two baths condo was built in 2008 and located on the southern border of the South Loop Community Area. The percentage of sales that are either foreclosures or short sale is down. This year, 14 of the units sold were listed as foreclosure or short sales (13%). That's down from the 17 units last year in only 76 sales (22%). The higher number of sales and higher median price mimics much of the most popular neighborhoods in the city. 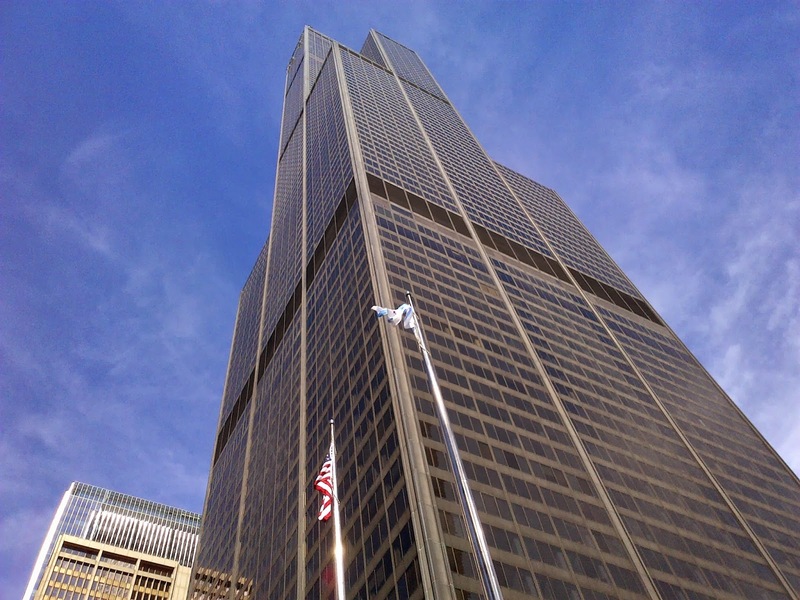 The South Loop was particularly beat up after the 2008 financial crash. 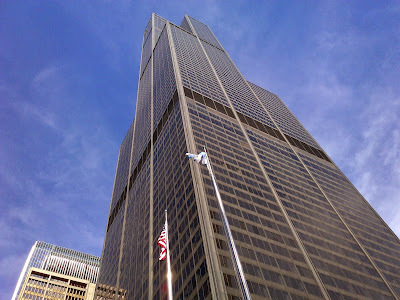 However, the high demand for properties near Loop jobs, public transportation and highway access has allowed sellers of larger, nicer units in South Loop to come back on the market again and sell conventionally. 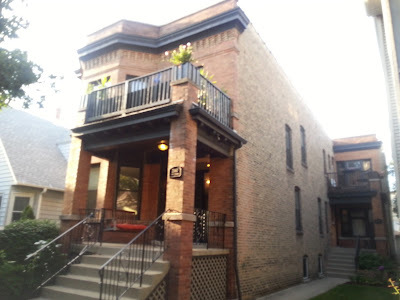 I was showing two and three bedroom rental units in South Loop on Friday. 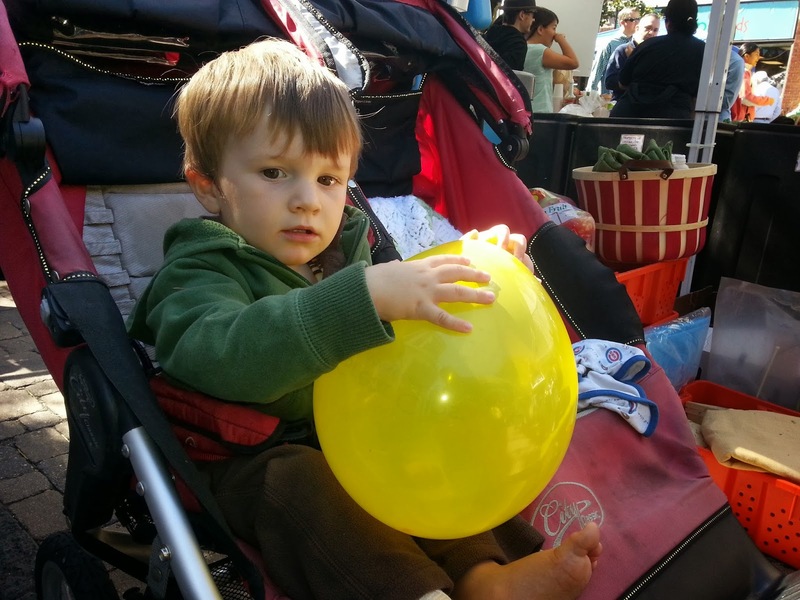 A client of ours with two young kids will need to be downtown for a year. 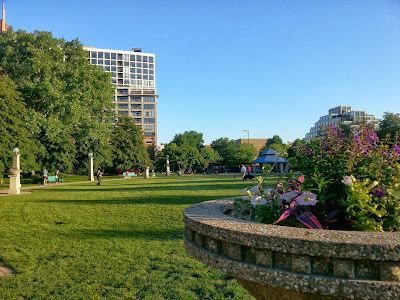 Although the South Loop is close to the lakefront parks and major museums it's still not the greenest or most open area for kids to run free. 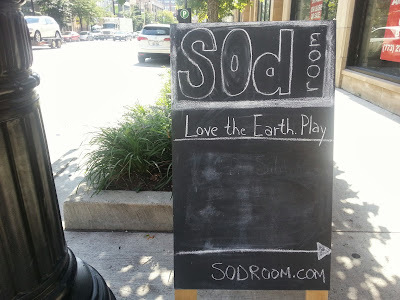 The Sod Room in South Loop at 1454 S Michigan may help a family get through the slow days. The environmentally friendly indoor play facility is one of several newer businesses looking to answer the demand of young professional families in this urban environment. We recently listed 5312 W Carmen for sale at $229,000. The legal two-flat building on a 30x125 lot is in move-in condition and perfect for an owner operator. While needing a little TLC, some big ticket items were done such as a new tear-off roof, new great decks, major plumbing and refinished floors. 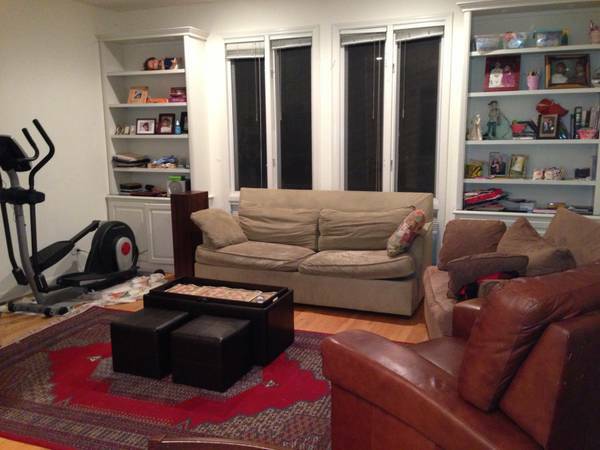 The units have separate furnaces and the top floor has central AC (a big plus at this price-point). The property was under contract after the first day of showings. 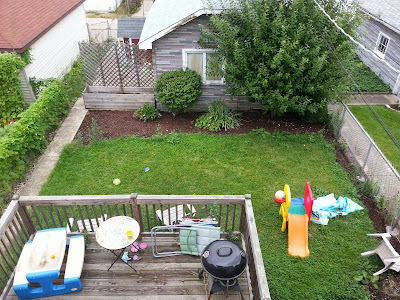 The property has a great yard. 5312 W Carmen is located in the Beaubien Elementary school District boundaries. 5312 W Carmen is only one block from Robert's Square Park and three blocks to the Jefferson Park Blue Line and Metra Station! 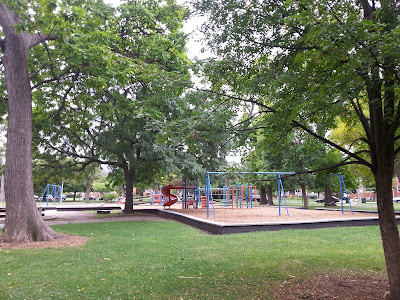 This is a great, quiet area of Jefferson Park anchored by a park, school and terrific transportation. Big box shopping is close by and the highways are easy to get to. 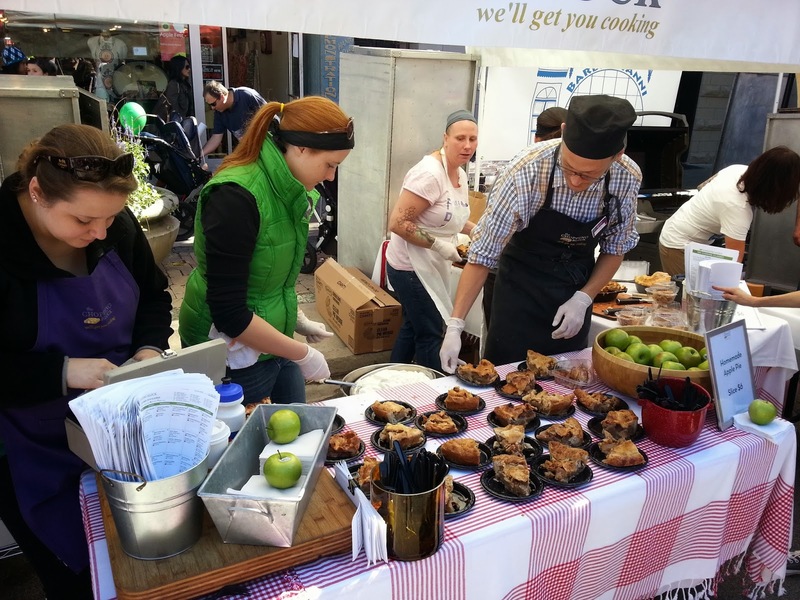 I had my hands full with our three kids at Apple Fest in Lincoln Square last Saturday so reaching for the camera was tough. I did manage to get my Chopping Block apple pie, a Red Ale and sing a little ABCs with our Stanley at Wiggleworms in the Kid's Zone. 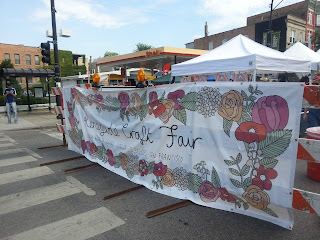 EVERYONE I knew (those especially with kids) from Lincoln Square/ Ravenswood was at this thing. Even many friends who have moved out of the city came back for the day. The weather was perfect and the fest was packed at 10am already. "Meet me at Giddings Plaza" with everyone else! 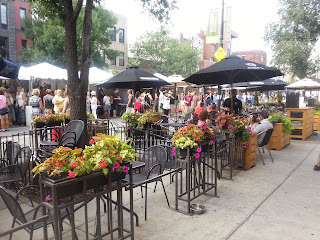 We walk about 5 blocks from our house to Giddings Plaza in Lincoln Square... we can't help but think on these perfect Saturdays "What a great place to live!". New construction condo units coming to the East Village neighborhood along North Damen Avenue just South of Division Street. With single family home prices out of reach for many (and many don't want the maintenance of a house) we see increased demand for larger condo units for those looking to expand. 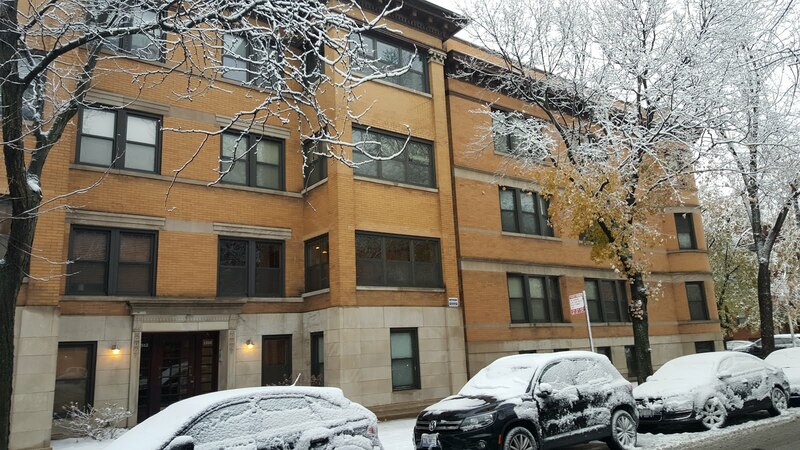 We recently spoke to a potential seller about their three bedroom duplex-down condo listing in the Wicker Park/ East Village area of West Town. Larger condo unit sales and prices have been mostly up over last year's sales around the North Side of the city. 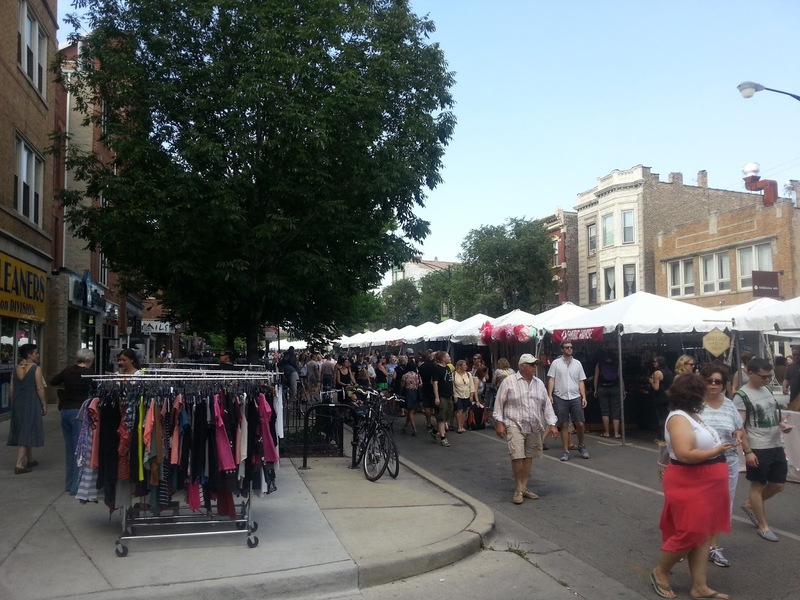 Our guess is West Town has followed suit. Here's a look at three bedrooms or more attached unit sales in West Town. 395 condo units listed at 3 bedroom or more have sold this year so far. That's up 32% from the 298 units sold same period in 2012. The median price is about $448,000, up $50,000 from about $398,000 last year. 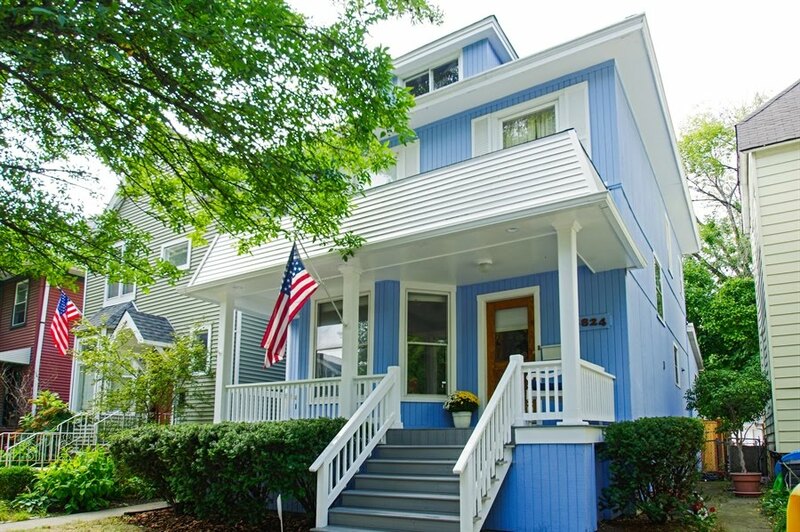 The highest sale in the West Town Community Area for an attached unit this year is a 4 bedrooms riverfront town house at 457 N Canal closed at $1,655,000. The year 2000 built home is listed at 4000 square feet and just a couple blocks from River North and minutes to Streeterville and the Loop. 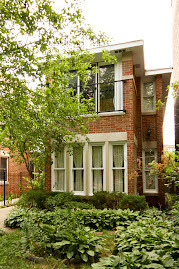 The lowest recorded sale in West Town for a three bedrooms unit is 528 N Hartland Court Unit F1 for $63,000. The foreclosure unit was one of four (4) three bedrooms condos that sold for under $100,000. 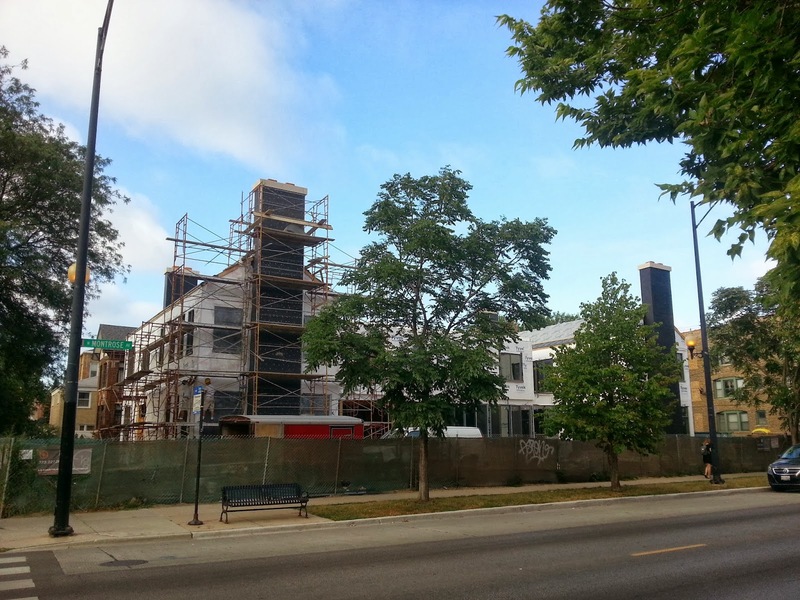 More new construction at West Thomas and North Winchester answers the demand for larger condo units. 93 condo units are currently listed in the West Town Community area. There are 102 three bedrooms or more condo units under contract at the moment with a median asking price of $472,000. That there are often more units under contract than listed in particular community areas has been a little shocking to many buyers this year. 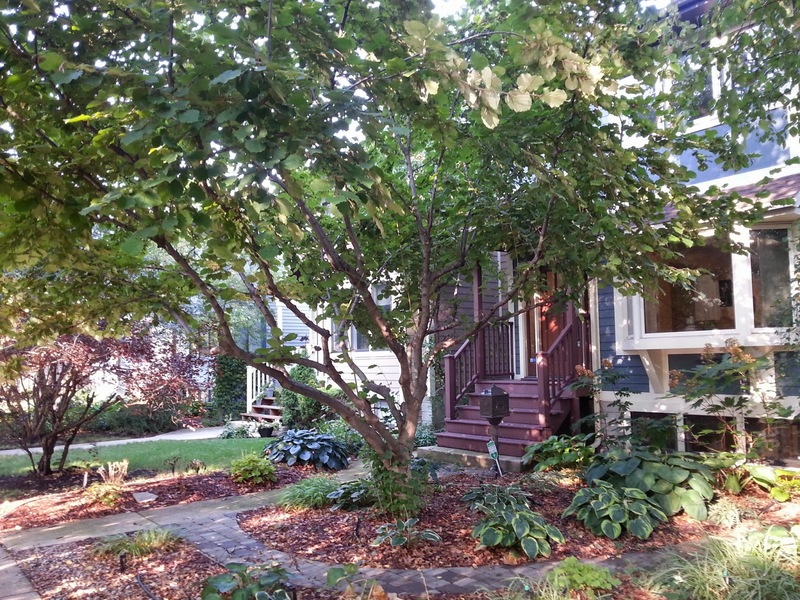 We recently showed 3634 N Paulina in Lakeview listed at $899,000. The three bedrooms renovated grey stone (single family home) is located a half block from neighborhood institution Saint Andrews School. The house is also located in the Hamilton Public School District. We had our clients in on the first showings available; a madhouse broker's open. The house was under contract with multiple offers immediately. 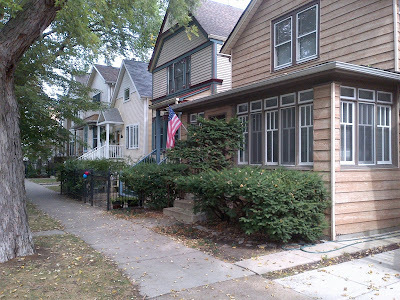 This has been the norm in the Lakeview single family home market for two years now. 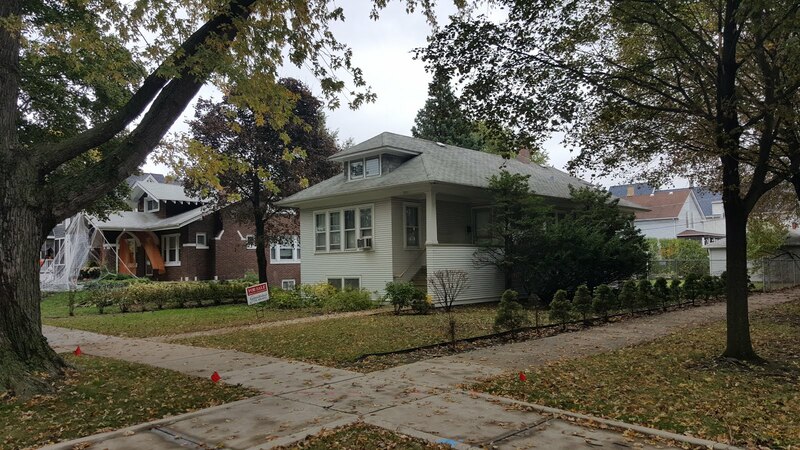 The 3600 block of North Paulina in Lakeview features standard city lots with a mix of newer construction, original and renovated traditional frame homes and recent tear downs making was for new houses. 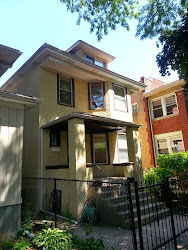 In the last 24 months four detached properties have sold or gone under contract from $440,000 for a nice brick two-flat in 2011 (a steal now!) to $1,449,000 for a beautiful contemporary renovation in summer 2012. 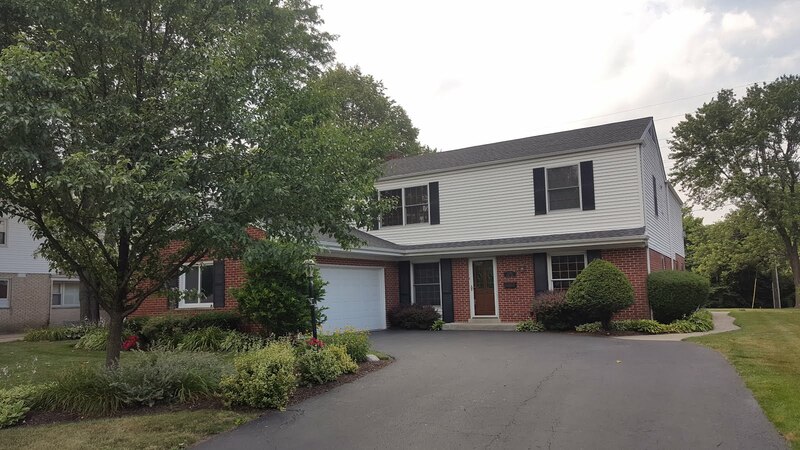 Our clients passed on the house as they really want a ready to go four bedroom home and felt the location near the school and West Addison Street may be a little busy. 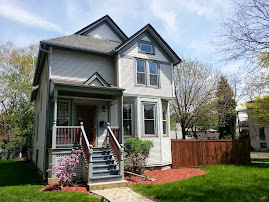 However at $899,000 this was a well priced house for the location and finish level. 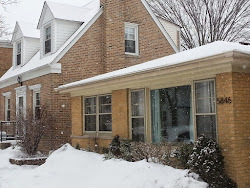 Buyers have to be ready to compromise more and expand the budget a lot to simply win a house in popular Lakeview. Our kids and friends showing off their pumpkin picks. Update: This property has been rented. (Dearborn Park II). Attached Garage! 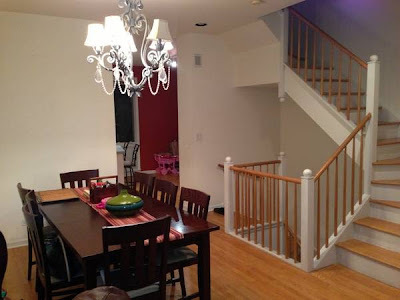 Spacious 3 Bedroom, 2.5 bath townhome with attached garage for rent in the Dearborn Park II South loop neighborhood. It is a 3-story townhome with large kitchen, new dishwasher, brand new washer and dryer and spacious bedrooms. The townhome is in the South Loop school district, 5-minute walking distance to the South Loop Elementary School. Also right next to spacious Cottontail Park. Come take a look! 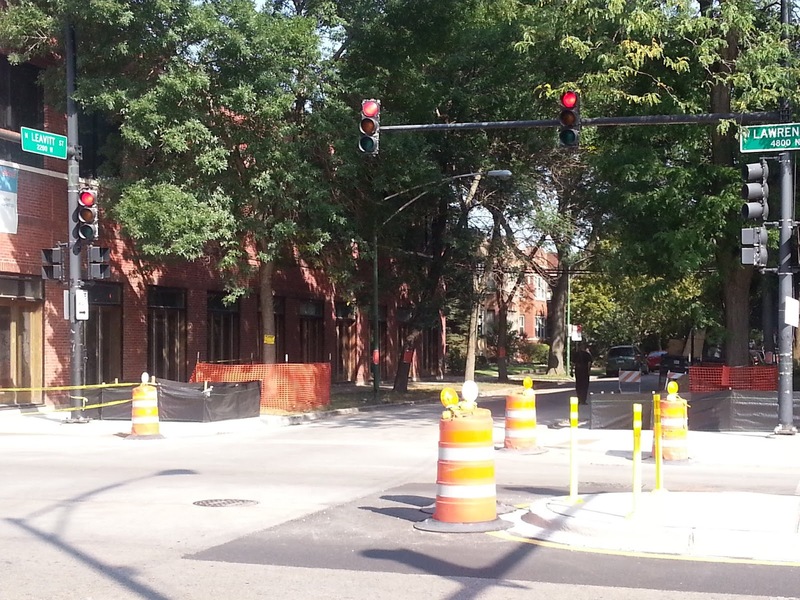 The new medians are in along most of Lawrence Avenue from Damen to Western. I took one of my long walks around the Ravenswood and Lincoln Square neighborhoods with Stanley yesterday (at 17 months, he's still at a good "nap in the stroller" age). 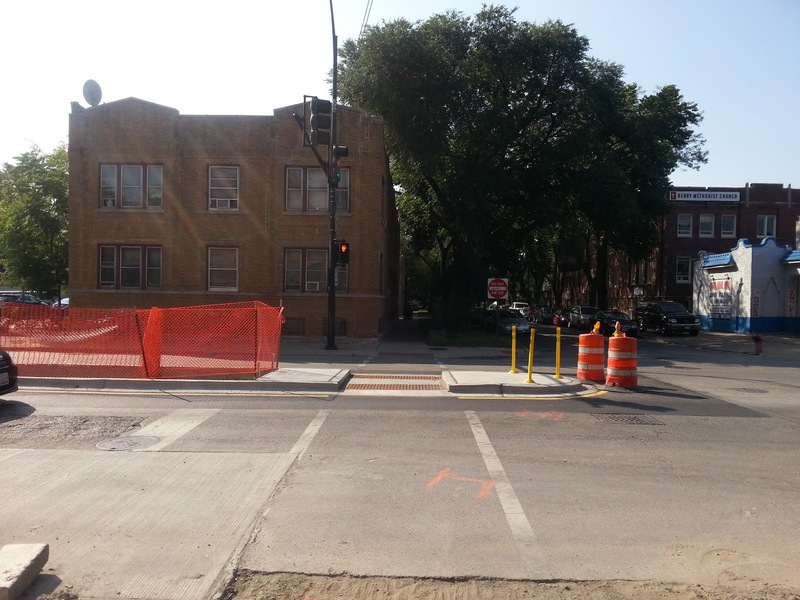 I'm pretty impressed with the progress on the Lawrence Avenue Streetscape project. Many of the medians, "bump-outs" and planter boxes for trees are in place. Our family uses both the North Oakley and North Leavitt intersections at Lawrence a ton. I can already get a sense of what the finished street will offer. North Leavitt and West Lawrence intersection in the Lincoln Square, Ravenswood neighborhood. "Streetscap'in". 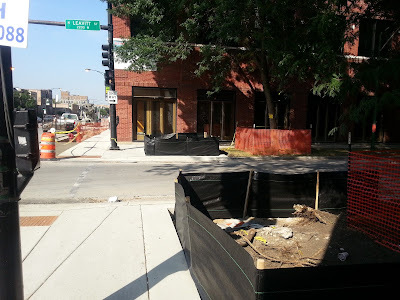 Beautification elements added to the wider sidewalks at North Leavitt and West Lawrence. I've seen a much improved selection of Lincoln Square condos come to market in the last 6 months. Demand and prices have crept back up prompting more quality condo owners to list their homes in several price ranges. 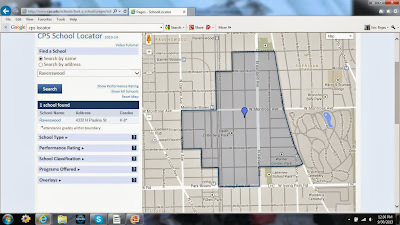 Let's take a look at Lincoln Square Community Area condo sales thus far in 2013. 250 condo units have sold this year up 30% over 2012. The median price is up $30,000 over same period in 2012 at $240,000 this year. 192 units sold same period in 2012 with a $209,000 median price. The month of August was scorching with 47 condo unit closings. 25 units closed in August of 2012. That means a lot of condos actually went under contract in May and June and closed in August. 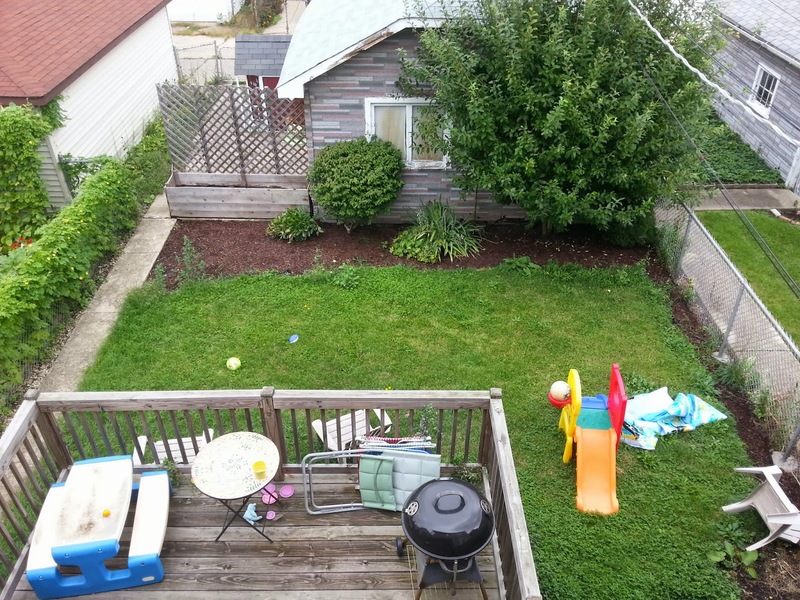 The lowest sale this year is at 2401 W Balmoral #2D for $27,000. Yes, $27,000. The studio unit in a former busted condo conversion development has original finishes and is located in the far northwest corner of Lincoln Square. 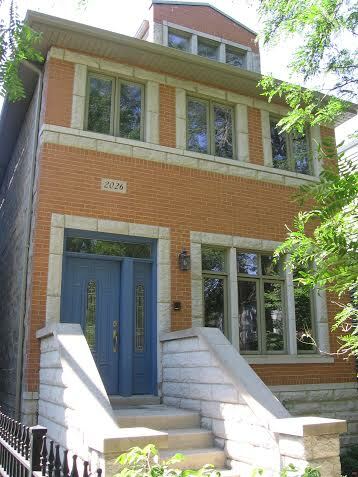 The highest sale is at 2002 Sunnyside for $612,000. This four bedroom home with a family room is a newer built attached town house and similar also to a single family row home. 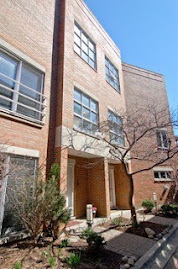 The highest priced unit sold in a more traditional condo building is 4844 N Damen #3 for $598,000. 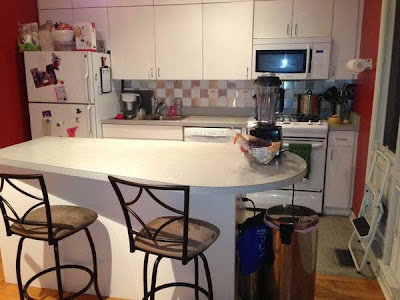 The penthouse duplex home in a small three unit condo building has a large rooftop terrace. 57 condos are currently under contract with a median asking price of only $195,000. 61 condos (attached homes) are currently listed for sale with prices ranging from $72,000 to $624,900 and a median of asking price of $249,000. The $50K median price difference between units under contract and units for sale could indicate sellers are listing their comparable homes for higher prices and/or larger, better finished units are coming on the market. Sales statistics gathered from MREDLLC.com (our member MLS) and analyzed/ presented by Eric Rojas, Real Estate Broker. 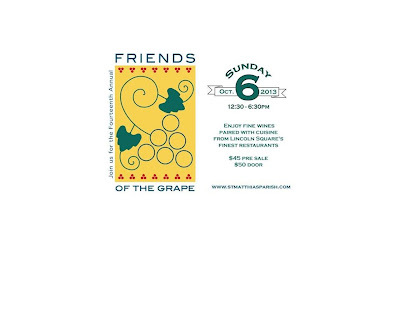 St. Matthias Parish and School located at 4910 N. Claremont hosts its annual Friends of the Grape Wine Festival Sunday October 6th 12:30-6:30pm featuring up to 40 wines paired with tastings from 20 of Lincoln Square‘s finest restaurants. 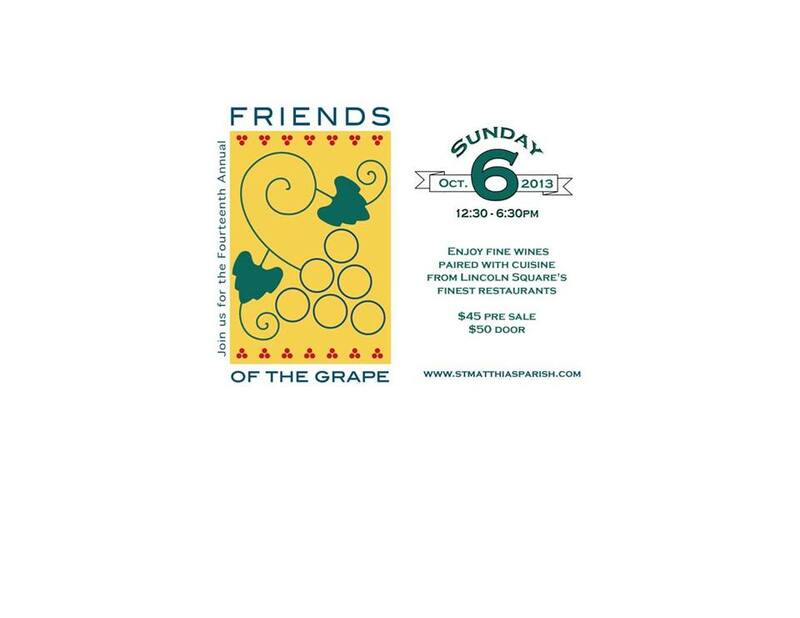 This annual “first weekend in October” event will continue its tradition of a LIVE & silent auction, raffles, entertainment & much more. We just represented relocation clients on a rental condo at 400 N LaSalle #4402 in River North... steps from the Financial District. The executive couple wanted something close to work (which is also on LaSalle). While initially looking further east in Streeterville this furnished 2 bedrooms, 2 bathrooms home on the 44th floor was too good to pass up at $3,200 a month asking. 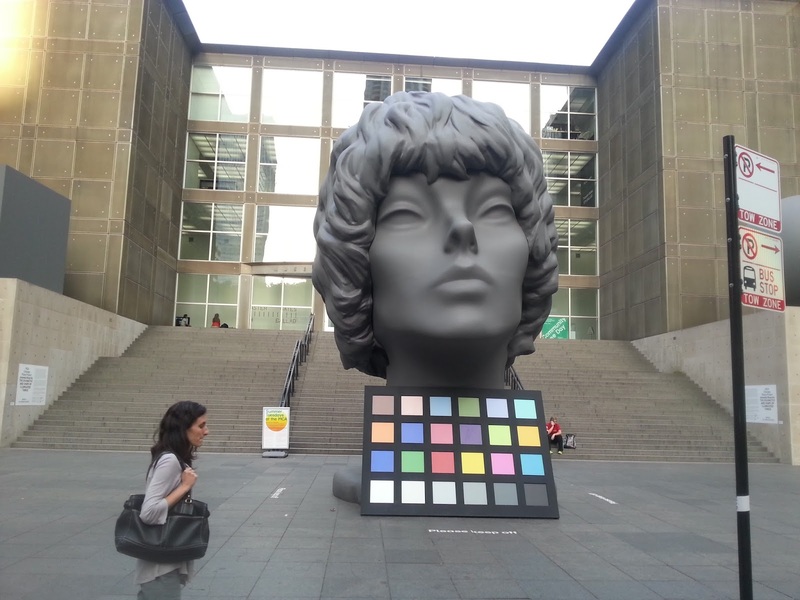 The "stand alone" location offers great views and a sense of open space. Bob has owned and lived in many near north and downtown locations. 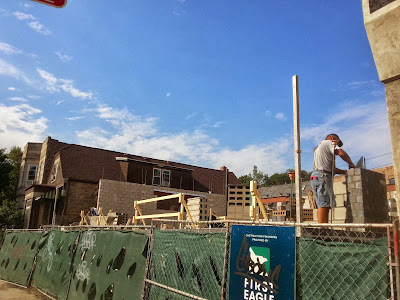 He's very particular and knowledgeable about tangible and intangible building features such as unit location, unit construction quality, finish levels building location and transportation options. 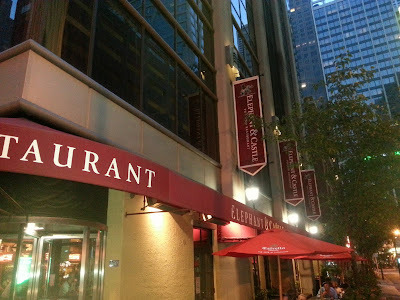 We love downtown living and we want our clients to have a great experience especially when new to Chicago. Owners and tenants are greeted by a nicely landscaped drive and attractive lobby. The outdoor pool and common sky deck are very attractive. The location can be very peaceful too even when so close to the action. The unit features newer finish level and sought after balcony. The building has everything an executive needs: 24/hr doorman, pool, fitness center, business center and available garage parking. Bob and I welcome our clients to fantastic city living. If you are looking for a quality rental situation or need to rent your home please contact us direct. Watch one of our former high-end rental videos in Old Town! Just waiting for Jillian on a Tuesday evening (Photo at Lurie Children's Hospital Eric Rojas, Real Estate Broker). 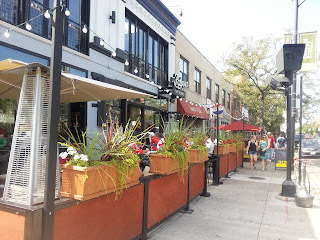 I left my house in the northwestern Ravenswood neighborhood to show some properties and then meet my wife after work in Streeterville. 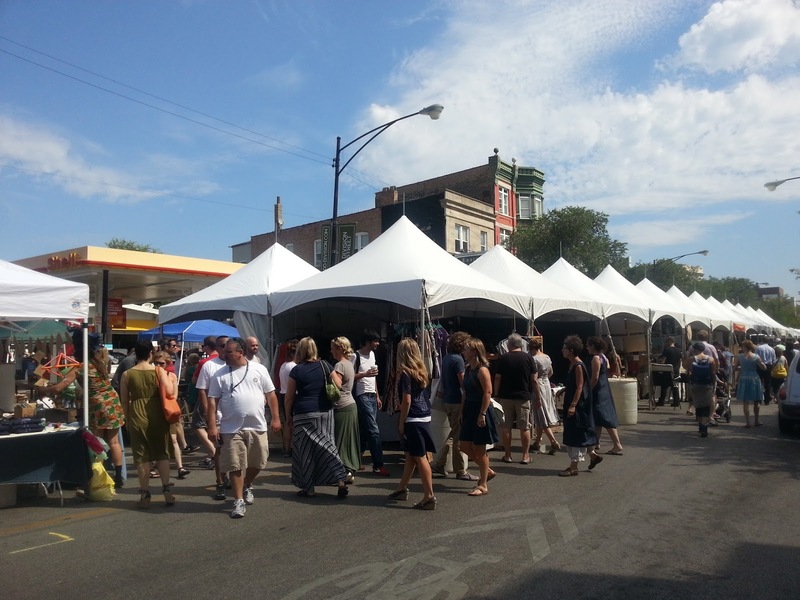 We have about a 12 minute walk to the Western CTA train stop (my chosen mode of transportation). 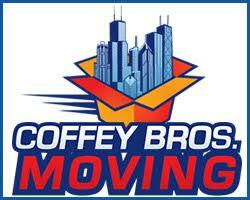 It takes about 45-50 minutes door to door to get to Streeterville.. The time goes by fast as I can work from my phone while I ride the train. 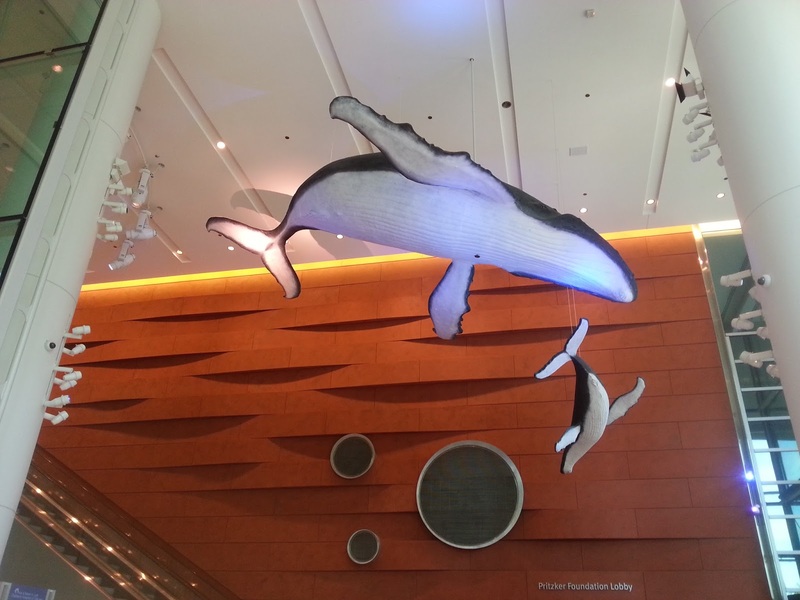 I eventually arrived at Lurie Children's lobby at 6:00PM after my showings. 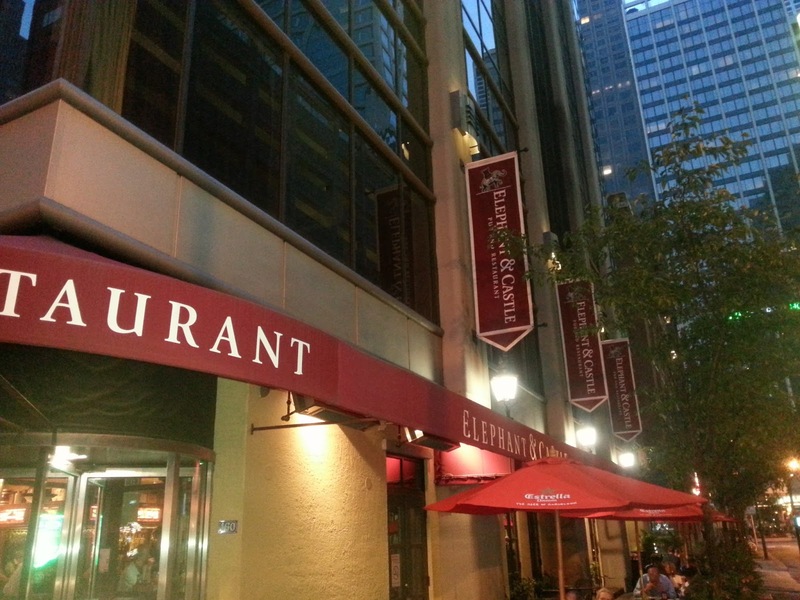 We check out special deals and events going on near the hospital for easy date nights. With a large family and schedules dominated by our kids we really appreciate the cultural events, food and entertainment Chicago quickly affords us on a weeknight. Some more great city views on our walk to our parking garage. The rare undeveloped land between West Huron and West Erie gives us a clear shot of historic 680 N Lake Shore Drive on the left along with more recent built skyscrapers leading into River East. We experienced an eventful, aesthetically pleasing evening and we were home by 9:00PM. Plenty of time to make lunches and prepare the kids' day. On this particular evening we had one car downtown but on most "date nights" Jill will take the train down in the morning. I don't know about you but we still feel "something" each time we eat, drink, work or play around down town and in various Chicago neighborhoods - even though we live on the North Side. 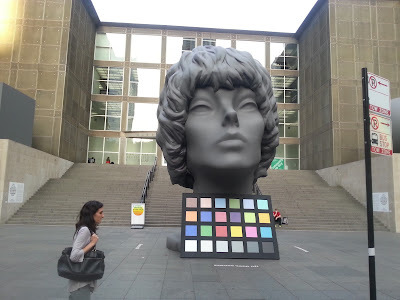 It's a great balance of family life routines and staying connected with art, architecture, music, food or whatever and whenever you want. I bumped into the Renegade Craft Fair last weekend after meeting with clients on their prospective home sale. I took a few photos on the way out. Just a reminder that Division Street may be King of Street Life! 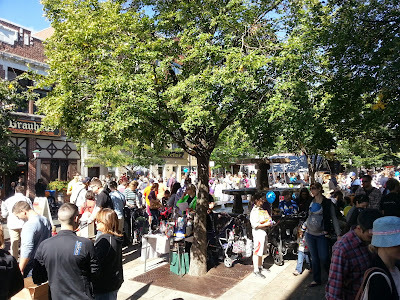 The crowds were getting big already at 11am on Saturday. 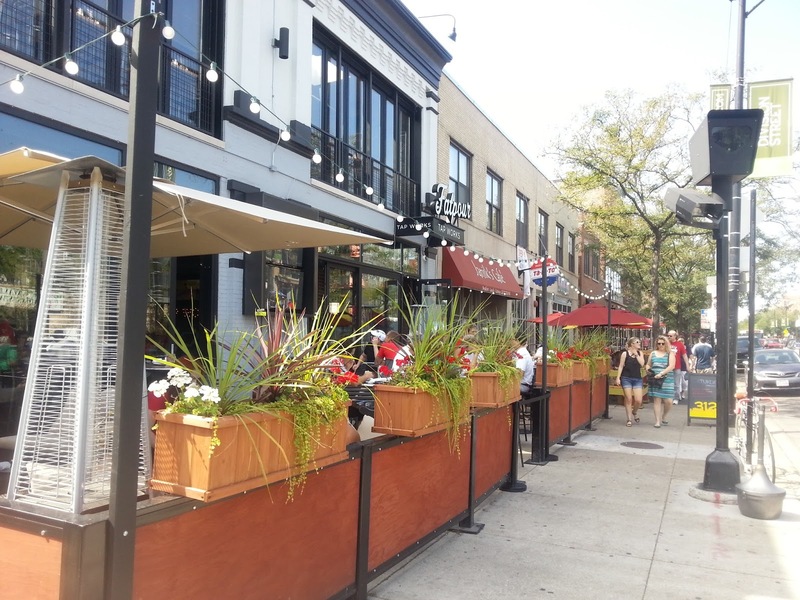 There's seemingly no end to the outdoor dining options along Division Street from North Ashland to North Western. 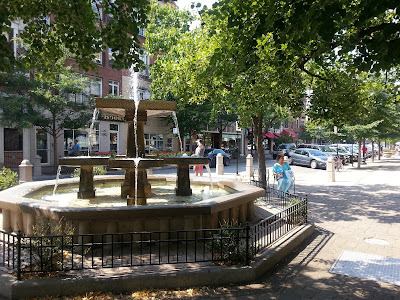 Check out our recent video tour of a Wicker Park condo and sites near Divison!